Public is invited to take-offs, weigh-ins and a free expo. The American Bass Anglers (ABA), who conducts the largest and most prestigious tournament trail for weekend anglers, is bringing the Ray Scott Championship to the River City next month. Formerly known as the Weekend Bass Series Championship, the first Ray Scott Championship will be held on Wheeler Lake in Decatur, Ala. November 12-15, 2014, with approximately 200 anglers competing for the title. 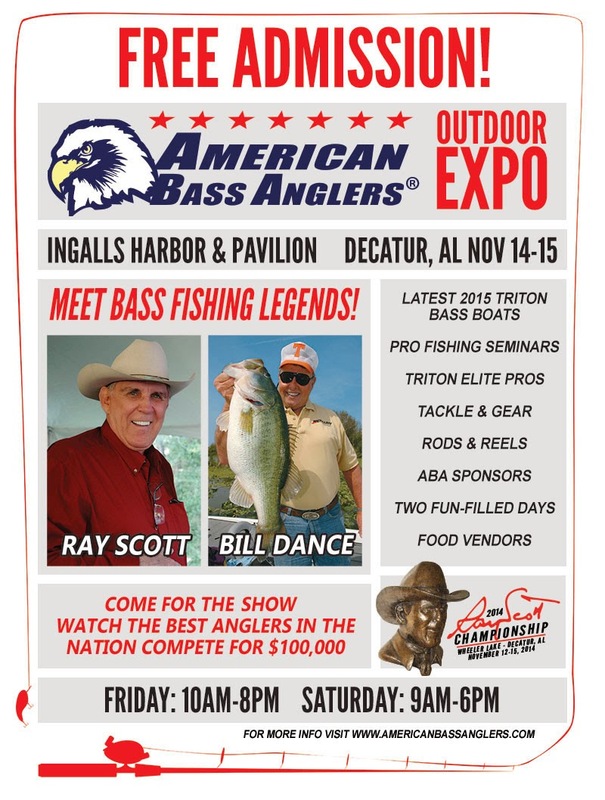 Along with special appearances by Ray Scott, Bill Dance, Triton Elite Pros, and others, top weekend bass anglers from as far away as Oklahoma, New York, Ohio, Florida and Texas will make their way to Decatur for the no-entry fee championship. The Boater Division winner will receive $100,000 in cash and will be eligible for a $50,000 bonus if he is a Triton Boat owner registered in the Triton Gold program. The Co-Angler Division champion will win a big payout including $50,000 in cash and possibly contingency bonus. As a special Ray Scott Championship bonus, the Boater Division and Co-Angler Division champions will each receive entry fees and sponsorship into the one of two professional bass fishing series of the angler’s choice. The sponsorship includes entry fees into three professional events and sponsorship support. The public is invited to a free Outdoor and Fishing Expo hosted by the American Bass Anglers on November 14 and 15 at Ingalls Harbor Pavilion. There will be fishing rods, reels, lures, outdoor retailers plus all ABA sponsors including Triton Boats, Garmin Electronics, Odyssey Batteries, Livingston Lures, Hammer Rods and others will have their latest products on display for sale. Expo hours are 10 a.m. to 8 p.m. on November 14 and 9 a.m. to 6 p.m. on November 15. Ingalls Harbor, located at 802-A Wilson Street NW in Decatur, will host the takeoffs and weigh-ins. Take-offs and weigh-ins are free and open to the public. Take-offs will take place at safe daylight each day. Weigh-ins are set for 3 p.m. November 12 through November 14 and the top 25 will be announced at 5 p.m. on Friday, November 14. Final weigh-in and awards presentation will take place at 3 p.m. on November 15. Official practice days for anglers will be from November 9 through 4 p.m. on November 11. Ray Scott is the founder of the Bass Anglers Sportsman Society (B.A.S.S.) and has been actively involved with promoting professional bass fishing for over past 45 years. He has been honored many times for his influential work in conservation, boating safety and the fishing environment. He received the prestigious Horatio Alager award and was named by Field and Stream magazine as one of “Twenty Who Have Made A Difference” in the American outdoors during the 20th century along with people like Theodore Roosevelt and Aldo Leopold. Earlier this year, officials with the Weekend Bass Series Championship announced the renaming of the tournament to the Ray Scott Championship in honor of the bass fishing legend. Scott serves as the official spokesman for ABA activities and makes personal appearances on behalf of ABA and membership promotions. For more information on the championship tournament, visit www.americanbassanglers.com/BWS and click on Ray Scott Championship. For three days in November, hundreds of Cub Scouts, Boy Scouts, Venturers, Explorers and adult volunteers will come together to test their Scouting skills and to promote brotherhood in Decatur, Alabama. An opportunity to showcase everything that is great about Scouting and the Greater Alabama Council Boy Scouts of America, ScoutFest 2014 will take place November 7-9, 2014, at Point Mallard Park in Decatur, Ala.
ScoutFest is a Greater Alabama Council wide event where Scouts of all ages can participate in a wide-range of activities and learning opportunities. All Packs, Troops, Crews, Ships, and Posts are encouraged to attend and camp both nights. The Point Mallard Driving Range will serve as the camping area. ScoutFest offers a multitude of activities for Scouts of all ages. Cub Scout activities include several shooting sports such as archery, BB guns and slingshots; Pinewood Derby Extravaganza; pedal cars and a scavenger hunt. For Boy Scouts and Venturers, there will be axe throwing, wall climbing, woodcarving, an obstacle/skills course and a knot tying competition. Two high adventure activities - spar pole climbing and a canoe/portage course – will also be available for Boy Scouts and Venturers who are at least 14 years old. Additional activities for all Scouts include ice skating, ultimate Frisbee, Frisbee golf, flag etiquette, fishing in the Tennessee River, tethered hot-air balloon rides and more. Along with recreational activities, participants will be treated to presentations and demonstrations, and members of the Coosa Lodge Indian Village will be on hand dancing to American Indian drumming and singing. The evening concludes with an exciting arena-type show and a fireworks display. Registration is required to participate in activities. For more information on ScoutFest. including an online registration link, visit www.scoutfest.com or the Council’s website, www.1bsa.org, or contact Jeff Brasher at jbrasher@1bsa.org or 205-970-0251. Decatur Parks and Recreation officials are excited as the anticipation builds for the influx of hundreds of 2014 ScoutFest event attendees. To best inform local residents and visitors of the openings and closings within the park during preparation, Point Mallard Park Superintendent, Jason Lake said, “For the safety of the scouts and leaders, we will need to adjust access and hours of portions of the park. There will be no outside, unauthorized access of Point Mallard Circle from Friday, November 7 (after Eastwood Elementary School releases students) through Sunday, November 9 via either Point Mallard Drive near the Golf Course or Greenwood Drive, SE. The Point Mallard Ice Rink will be closed to the public Friday through Sunday, November 7-9 as well. The Strike Zone, T.C. Almon and the Jimmy Johns Tennis Center will be closed Thursday, November 6 through Sunday, November 9. We would like to point out that the Point Mallard Walking Trails will remain open; however, we ask that pedestrians show particular caution when approaching the Archery Park. The Point Mallard Golf Course and Point Mallard Campground will remain open as usual.” For more information on openings and closures at Point Mallard Park, call 256.341.4912. 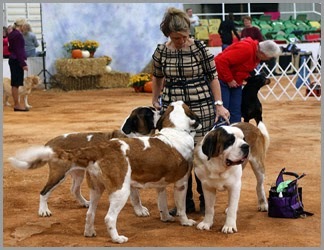 Hosted jointly by the Huntsville Kennel Club and the Decatur Alabama Kennel Club, the Cotton Cluster Dog Shows featuring 135 breeds are set for November 6-9, 2014, at the Morgan County Celebration Arena. Dogs ranging from 6 month old puppies to the most experienced show dog will make their way to North Alabama to compete for the coveted title of “Best in Show”. Shows are held daily and spectators are welcome to attend. The Cotton Cluster Dog Shows are considered one of the largest area dog shows licensed by the American Kennel Club. Last year, over 1,200 dogs from all over the United States, Canada, and Mexico entered and competed. Best in Show and Reserve Best in Show will be presented each day. On Friday and Saturday (November 7th and 8th), the Huntsville Kennel Club and the Decatur Alabama Kennel Club are hosting the National Owner Handler Series and on Saturday morning, the Huntsville Kennel Club will offer a four to six month beginner puppy show. The Sheltie Club of North Alabama and the Poodle Club of Alabama will have their Designated Specialty Shows as in previous years, and the Dachshund Club of Alabama will hold one concurrent show as will the Bulldog Club of America (Division 8) and Shetland Sheepdog Club of Greater Birmingham. On Saturday, November 8th, the National Redbone Coonhound Club will hold a Sanctioned A Match following the Best In Show presentation. Several other breeds are supporting their breeds all four days. On Saturday, November 8th, the Huntsville Kennel Club will award a $2,000 scholarship for Auburn University College of Veterinary Medicine to a student from northern Alabama. A dog show such as the Cotton Cluster provides the perfect opportunity to pick your next “best friend.” Event organizers encourage anyone considering the purchase of a purebred dog to attend the Cotton Cluster Dog Shows and talk one-on-one with exhibitors about their breed. Shows begin at 9 a.m. Thursday, 8:30 a.m. Friday and 8 a.m. Saturday and Sunday. Admission is free. Parking is $5 per car each day. The Morgan County Celebration Arena is located at 67 Horse Center Road (off Highway 67 East) in Decatur. For more information, visit www.huntsvillekennelclub.org, www.dakc.org, or contact Show Organizer Jean Hairston at jean.hairston@att.net. Local historians and community leaders of Decatur are pleased to announce events and activities for the city’s commemoration of the Civil War’s sesquicentennial. Six days of events beginning October 24, 2104, are planned to commemorate the four-day battle, which took place in October 1864 in Decatur. The living history event will tell the story of Decatur’s small, but significant role in the War Between the States through fun, interactive activities in and around downtown Decatur including walking tours, daily living demonstrations and encampments, movies, period entertainment, and more. Thunder in the Valley kicks off on Friday, October 24th with a ribbon cutting and grand opening of a new permanent exhibit on the Civil War at the Morgan County Archives (located at 681 Bank Street). The exhibit is the culmination of three years work researching Morgan County’s role in the Civil War. The exhibit includes photos and artifacts never before seen in public. On Saturday, October 25th, the celebration gets underway at 9 a.m. with an encampment on the grounds of the Dancy-Polk House until 4 p.m. From 10 a.m. to 4 p.m., living historians will offer tours of the Dancy-Polk House, Old State Bank, Morgan County Archives, grounds of the Burleson House, and The Blue and Gray: North Alabama Civil War Museum (admission charged). Free guided walking tours of the Civil War Walking Trail will be offered at 10 a.m., 12 p.m., 2 p.m., and 4 p.m. All tours begin and end at the Old State Bank. Festival goers will also want to hang around for a free movie at 6 p.m. “Red Badge of Courage” will be shown at the Daikin Amphitheater located in Founder’s Park in downtown Decatur. On Sunday, October 26th, a free community period church service will be held at the Daikin Amphitheater beginning at 8 a.m. The Madison Community Band will perform a free Civil War music concert at 6 p.m. on Monday, October 27th followed by “Meeting at Appomattox”, an original play by Chuck Puckett to be performed at the Daikin Amphitheater. The public is invited to the 14th United States Colored Infantry reception at Rhodes Ferry Park on Tuesday, October 28th at 11:45 a.m. Special guests are descendants of the 14th USCT. At 6 p.m., there will be a reception for the 14th United States Colored Troop Guests at the Princess Theatre. Guest speaker is Asa Gordon, author and United States Colored Troop descendant. The evening concludes with a free showing of “Glory” at the Princess Theatre. The six-day commemoration culminates with a special lunch-and-learn presentation on “How Black Civil War Veterans Reconstructed the Union and Established Democracy in America” by Asa Gordon on Wednesday, October 29th at the Turner-Surles Senior Resource Center. The hour-long presentation gets underway at noon and attendees are encouraged to bring a brown bag lunch. Doors will open early for a meet-and-greet or attendees may remain after the presentation to talk one-on-one with Gordon. Thunder in the Valley commemorates the historic battle event that took place 150 years ago on the east side of Decatur near the Old State Bank. The City of Decatur was an important transportation site for the Confederate States of America during the Civil War due to the Memphis and Charleston’s railroad bridge crossing the Tennessee River. During the 1864 battle at Decatur, Confederate General Hood attempted to break Union supply lines at the crucial railroad crossing at Decatur. He was not successful and had to cross the river at Florence. 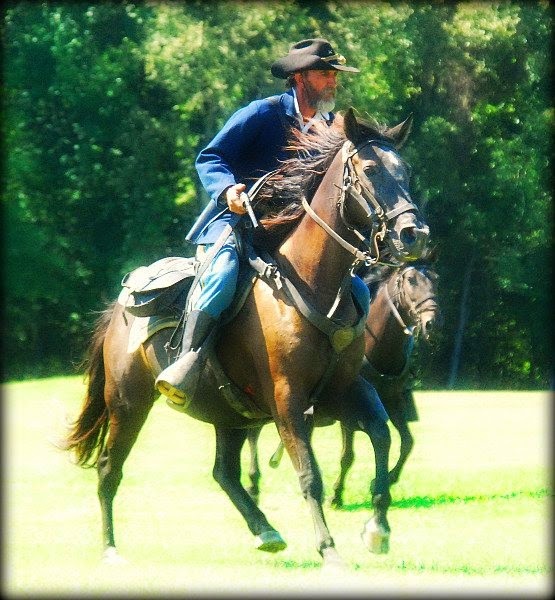 For more information on Thunder in the Valley, visit www.civilwardecatur.com. While goblins, spooks, and other frightful ghouls will be filling the streets of Decatur on Halloween night, hundreds of elite soccer players will be making their way to the Jack Allen Recreation Complex for the Division II State Cup soccer preliminaries. Hosted by the Alabama Soccer Association, the preliminaries are a qualifier for the Final Four tournament to be held two weeks later in Montgomery. Set for October 31 through November 2, 2014, the Division II State Cup (U14-U19) attracts some of the best soccer players from across the state of Alabama. All games will be played at the Jack Allen Recreation Complex. The top four winners in each age division will advance to the Final Four tournament set for November 14-16 in Montgomery. Alabama Soccer Association is the governing body for all soccer clubs in Alabama who qualify to participate in these events. For more information on the State Cup preliminaries, visit their website at www.alsoccer.org and click on the events tab.